Samsung Sell My Samsung Galaxy Tab 8.9 GT-P7320 32GB Tablet in Used Condition for 💰 cash. Compare Trade in Price offered for working Samsung Galaxy Tab 8.9 GT-P7320 32GB Tablet in UK. Find out How Much is My Samsung Galaxy Tab 8.9 GT-P7320 32GB Tablet Worth to Sell. Compare prices for your Samsung Galaxy Tab 8.9 GT-P7320 32GB Tablet from UK's top mobile buyers! We do all the hard work and guarantee to get the Best Value & Most Cash for your New, Used or Faulty/Damaged Samsung Galaxy Tab 8.9 GT-P7320 32GB Tablet. Find out how much your used Samsung Galaxy Tab 8.9 GT-P7320 32GB Tablet is worth and select your prefered buyer. Today, the most cash you can get for your Samsung Galaxy Tab 8.9 GT-P7320 32GB Tablet is £15.00 paid by EE Recycle. That is the highest value for this mobile today online. I want to sell my used Samsung Galaxy Tab 8.9 GT-P7320 32GB Tablet. How much can I sell it for? EE Recycle and 3 other recyclers will pay you £15.00 for your used Samsung Galaxy Tab 8.9 GT-P7320 32GB Tablet. You can also check if they buy faulty/damaged Samsung Galaxy Tab 8.9 GT-P7320 32GB Tablet. Can I sell my broken Samsung Galaxy Tab 8.9 GT-P7320 32GB Tablet for cash? How many Samsung Galaxy Tab 8.9 GT-P7320 32GB Tablet can I sell to Online Phone Recyclers? 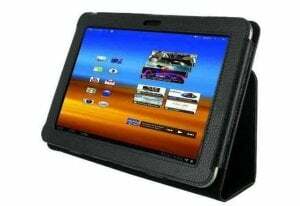 What stores buy used Samsung Galaxy Tab 8.9 GT-P7320 32GB Tablet phones for cash? Recyclers, like Tesco Mobile Trade-In, Vodafone Trade In, & Carphone Warehouse offers online trade-ins for Samsung Galaxy Tab 8.9 GT-P7320 32GB Tablet. You can get up to £15.00 online if you recycle your Samsung Galaxy Tab 8.9 GT-P7320 32GB Tablet today with EE Recycle as they seems to pay the top price which indicates they have a huge demand of these second hand, used or even faulty Samsung Galaxy Tab 8.9 GT-P7320 32GB Tablet. What is the best price for Samsung Galaxy Tab 8.9 GT-P7320 32GB Tablet if i want to buy it online? You can compare prices for Samsung Galaxy Tab 8.9 GT-P7320 32GB Tablet online with UK Price Comparison. Not just that you can even compare prices for and save hundreds of pounds every week by getting the best retail deals and price with UK Price Comparison. Sell your Samsung Galaxy Tab 8.9 GT-P7320 32GB Tablet instantly and receive the exact value of your gadget along with the value of the current time!